X1042-3 - Misc. 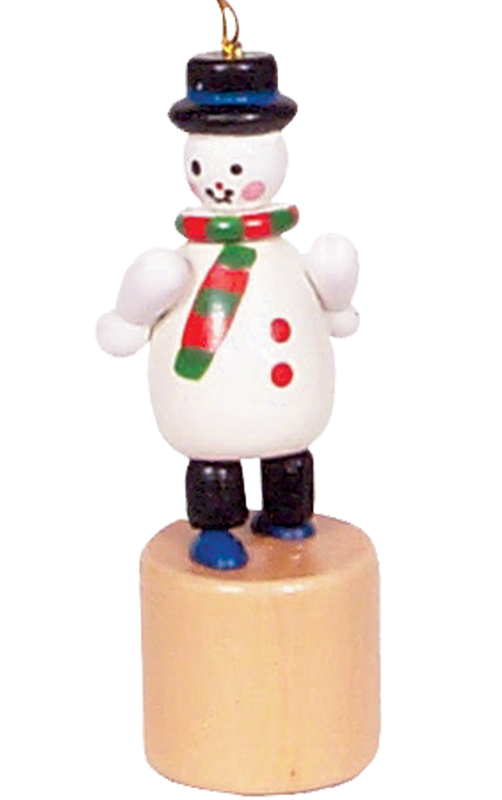 - 3.5H x 1"W x 1"D"
X1042-3 - Chinese Push" Toy - 3.5"H x 1"W x 1"D"
Wooden snowman finger push toy with natural wood base - Old-time toy! Push up on the bottom of his base - he will collapse; release and he "snaps" back upright! Made in China.